Below you can view all the homes for sale in the Braxton Village subdivision located in Holly Springs North Carolina. Listings in Braxton Village are updated daily from data we receive from the Raleigh multiple listing service. To learn more about any of these homes or to receive custom notifications when a new property is listed for sale in Braxton Village, give us a call at 919-759-5754. Excellent schools & close to shopping, restaurants, parks & more! Don't miss out! 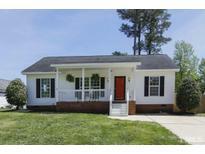 MLS#2249284. 986. Get in quickly to see this gem! MLS#2248467. 2058. Outdoor Space is Amazing! Fenced Backyard! Community. Pool/ Playground! MLS#2248098. 4939. **Fiber Internet Available** Bring us your Best Offer, before its gone! ! MLS#2245292. 4407. Location is on point - close to everything! MLS#2239226. 4365. Family Room w/Brushed Nickel CFan, Crown Molding & Wood Burning Fireplace w/Custom Mantle w/Dentil Trim! Fenced Backyard! MLS#2230168. 1128. DIY & investors welcome. Great area & pool community. MLS#2210511. 2989.